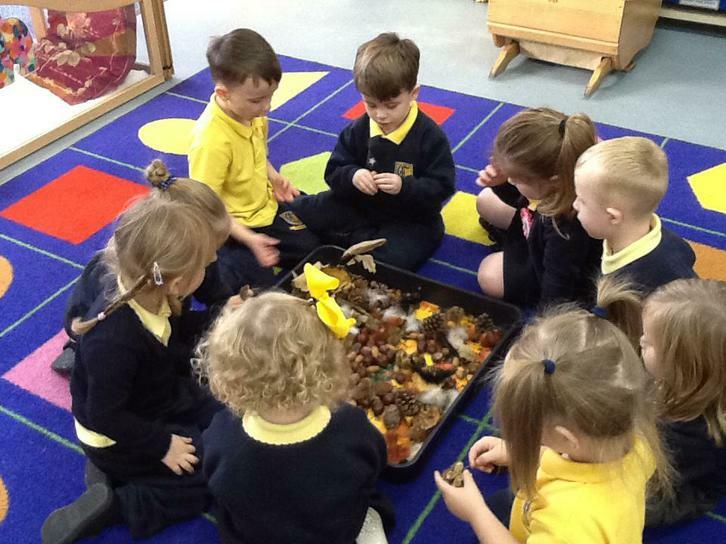 We have been exploring Autumn in our nursery and outside in the garden. We have looked at the trees and the colours of the leaves, and had lots of fun painting and printing with them. 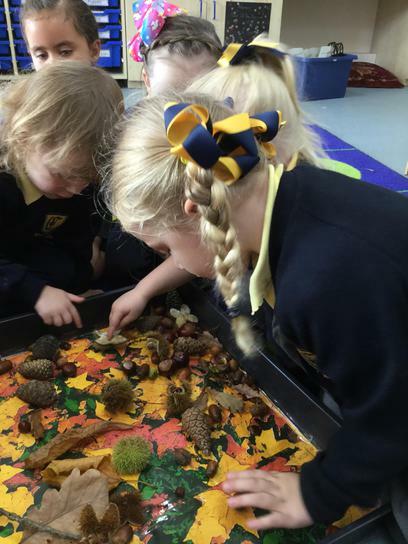 Indoors we have used magnifying glasses to investigate conkers, acorns, sycamore seeds and pinecones in our Autumn sensory corner. 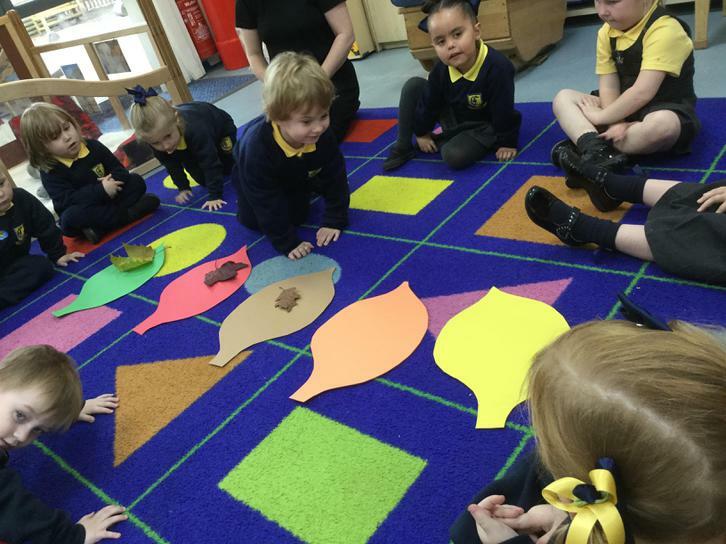 We have matched the colours of the leaves and counted them in sets. 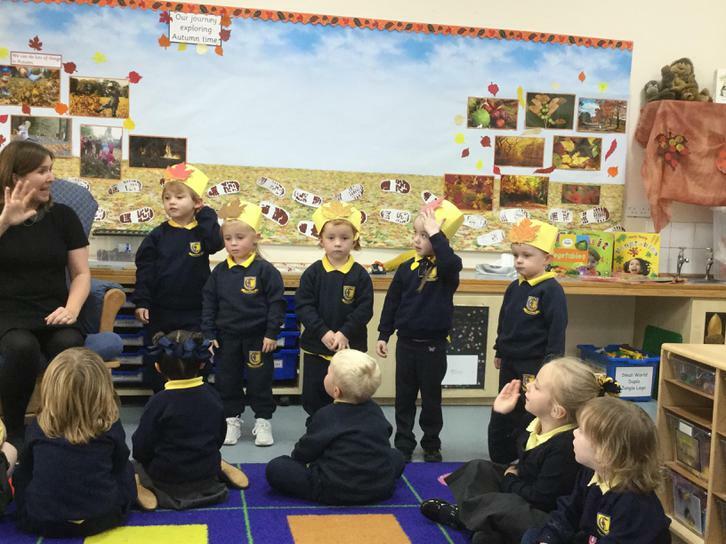 We have enjoyed listening to stories about The Roll Away Pumpkin and Pumpkin Soup. 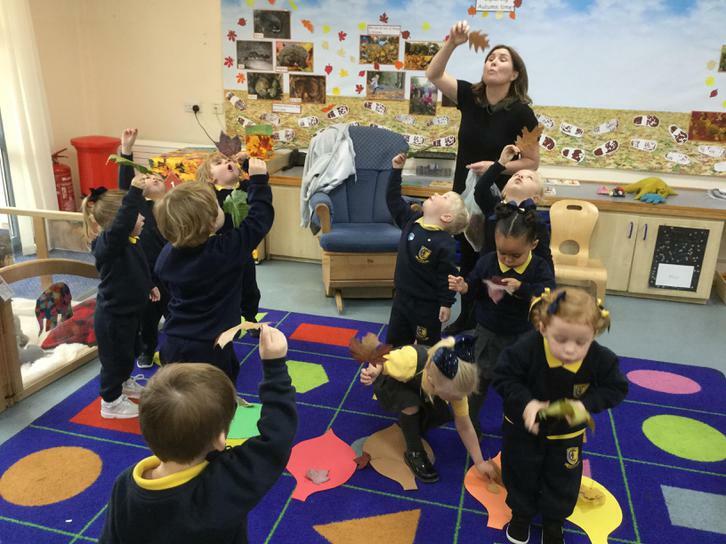 We are sure you will of heard us singing our Autumn songs that we are learning in nursery! Blowing the leaves off the tree like the wind!